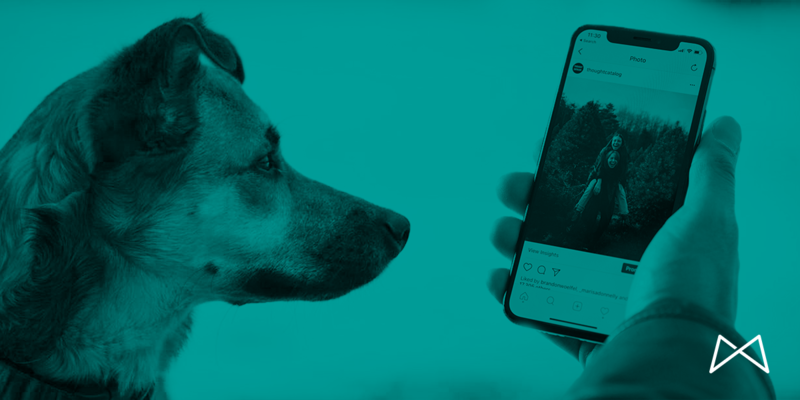 4 Things My Dog Taught Me About Social Media | Macleod & Co.
A year ago, I was adopted by my dog, Tonks. I know I should say I adopted her but since I got her, this little pup has taught me so much. She hasn’t gone viral (yet), but she’s still got a lot to teach about social media that’s helpful for companies big and small. It’s a dog-eat-dog world out there, so curl up, grab a snack and enjoy these bite-sized treats from Tonks to you. The first week of living in our new apartment, Tonks chewed up the corner of my roommate’s rug. My roommate was…less than pleased. Thanks to obedience class, we learned some methods to help Tonks learn from that “Oops!” moment. The same can be said for the digital world. You have to be willing to accept that you’re not going to be an expert in a day. Mistakes are going to happen, but as long as you keep growing and keep learning, you’ll find success. Have you ever gone to the dog park? It’s basically heaven. My favorite part of going is watching Tonks make new friends! You’re not conducting your work in a dog park, but that doesn’t mean you shouldn’t always be engaging. The digital world is like one giant dog park, with plenty of opportunities to make friends. Don’t be afraid to chat with people who comment on or share your posts! It’s a great way to showcase your business’ personality and build a community. A bored puppy is a naughty puppy. It’s easy for things to go off track when you don’t have a direction to go in. Similarly, you always want to give yourself some structure on your social media pages. Find a thread to connect everything together, be it a filter applied to every Instagram post or a once-a-month feature posted to your Facebook. From there, it gets easier to build your editorial calendar out. Tonks absolutely hates it when I go to work. Unfortunately, it’s a necessity (gotta give her the best kibble possible, and it isn’t cheap), so we’ve found a way to make it slightly less unpleasant. For Tonks, that means leaving her a bone filled with peanut butter. For your business, it might be recognizing that you learned something, found a new customer, or figured out a new way to do something. Get out there and conquer social media! Tonks may be a dog, but she’s pretty heckin’ smart. And like Tonks, your company needs to be adaptable, brave and willing to take a chance to see what happens. Sure, the first time going to the dog park is scary, but soon it’ll be the best place in the world and you’ll have a whole gang of friends! At first, it can be hard to find your groove, but as long as you’re willing to take that first step (and utilize some of these tips), you’ll be on your way in no time. Written by: Meg Vondriska, Social Media Coordinator. Macleod & Co. is a premier full-service Twin Cities marketing agency, with a special emphasis on digital, brand and the strategy that unites the two. We partner with businesses of all shapes and sizes, from startup hustlers to established empires, to create and execute strategies that deliver results. Infographic: Which social media platform is best for your business?